Does the Elantra have what you want out of a vehicle? Scroll past the video to find out! There is a reason Camelback Hyundai is the leading Hyundai dealer in Phoenix. We provide you with Elantra reviews by the best writers in Phoenix. The following article is full to the hilt with important facts- it contains everything so that you can make intelligent decisions about the Hyundai you want to buy. 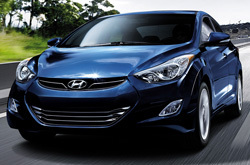 Is the Elantra right for you? Find out below! 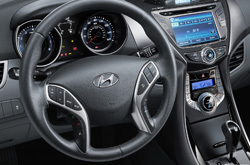 By examining the 2013 Hyundai Elantra to the 2013 Nissan Sentra, Toyota Corolla, Mazda3, Honda Civic, Chevrolet Cruze and the Ford Focus, and you can spot that the Elantra transcends those autos in many zones. View the hightlights below. No megacorp car repair sites in Phoenix, Arizona offer Camelback Hyundai's amazing combination of certified Hyundai Elantra service techs, 12-month long warranties on all work and Hyundai OEM parts. Turn to the auto repair professionals in Phoenix, Camelback Hyundai, when your Hyundais takes a walloping. We take care of a multitude of repairs: from big, tricky projects like electronics maintenance to easy stuff like brake pad replacement and routine inspections. Camelback Hyundai is your best bet in Phoenix for certified, professional Hyundai Elantra repairs and scheduled maintenance. Find unbelievable service coupons at Camelback Hyundai by clicking below this text!